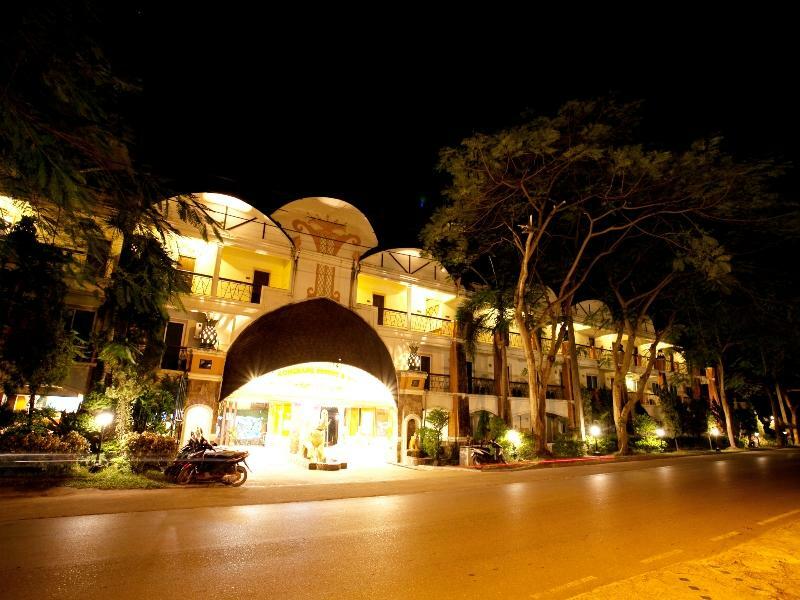 "Great price , beautiful beach , Great staff freidly , good b..."
Have a question for Koh Chang Resort? "The beach here I believe was the best one on the island." "Will stay again next time." 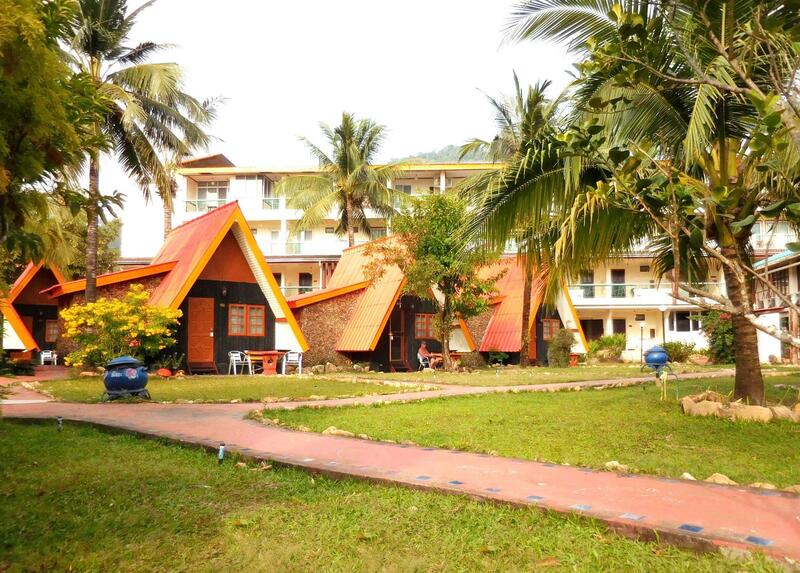 Koh Chang Resort is located in the heart of Koh Chang, making it a popular choice for visitors. All 151 rooms at this 4-star property are tailored to satisfy guests' needs. Leisure facilities include a swimming pool, spa, Jacuzzi, sauna, and a steam bath. Guests will enjoy the resort's services, including city transfers, mail service, morning call, a travel counter, and car rental. The combination of Koh Chang Resort's excellent on-site service and its proximity to surrounding attractions make it an ideal stop on anyone's itinerary. Just enter your desired dates and submit. "This place was great for kids as they had a playground at th..."
The property only allows pets for room type Superior Hillside Bungalow. 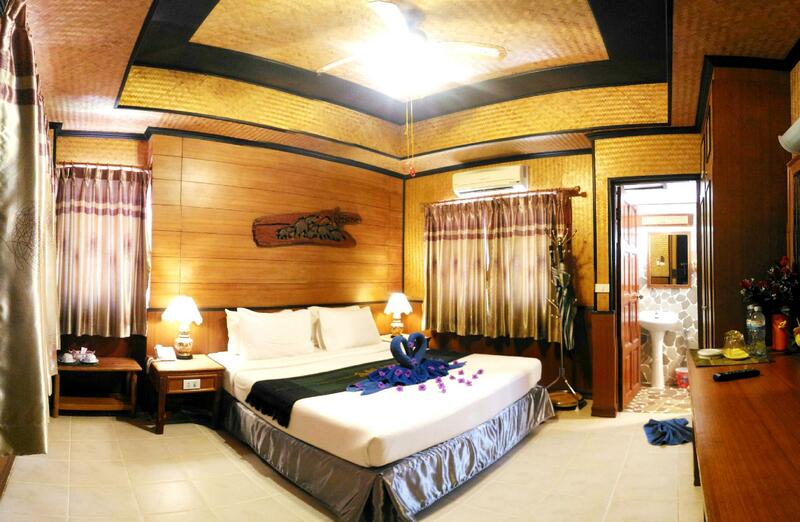 Guests will be charged THB 500 per night and will be paying at the property. This place was great for kids as they had a playground at the restaurant which made dining easy with our 4 year old. The beach here I believe was the best one on the island. I checked out a few others. The place wasn’t brand new and could do with a bit of an upgrade but it was clean and tidy and everything worked. The wifi was pretty bad which was ok for us as we have our own data but could be an issue for tourists. All in all we had a great stay and would come back again! A lot of Factors, Staff Arrogant, Rooms very small/Clumsy, untidy and Hotel Owner, on the complaint, do not entertain as well. Agoda and Hotel don't take any responsibility for your bad experience. Not recommended at all. After booking, the hotel owner will say yes to everything but later will inform you that was there misunderstanding and everything will void. Great facilities, food and beach. The place could do with a refurbishment then it would be a lot better. Not very good WiFi either and some parts of the resort are dirty. Fantastic location on the beach and entertainment in the evening overlooking the beach is great. Staff were very friendly and courteous. Good value for money. We spent one night at the resort, and it was OK considering the reasonable price, but we would not consider staying there again. The best part was the friently receptionist. The hotel reception had very small safetyboxes, so my comuputer did not fit. The breakfast was OK, but the beach area was very crowded. Book here if you are a little budget shy (not massively shy but this is Thailand, not Hong Kong!) It's great. Right on the beach. Big breakfast. Has everything you need. Will stay again next time. Very nice and enjoyable. A lovely little bungalow clean with sufficient facilities. The resort itself was next to the water which was great and the buffet breakfast was varied and tasty. The restaurant was a little over priced but there were many low cost options within walking distance so not a huge problem. A huge bonus for us as parents with a 2year old was the restaurant had a play area inside meaning that we could eat breakfast while our son was safe and happy. The only downside was the beach area and the sun loungers which were 'reserved' very early every morning and often frustratingly empty. There were not nearly enough to go around and no other shade in the area directly in front of the resort so we had to walk quite far down the beach to reach a shady area. Not a huge problem but something to consider if you are travelling with older people, very young children or more than one kid. Star ratings say it's all. One more rating "food" for which I would give a negative rating. Worst experience in Koh Chang thus far. The 3/4 star rating was a complete misrepresentation. yes! location is the be and end all of this hotel, if you want to chill out. If you want to walk out for night life, then you will have a big walk!. nothing really around it. Bart buses on main road though. if you want the main hotel with a little walk down to the beach, book a superior room. Other wise your across the road in the hill side. breakfast ok, eating right next to the sea. rooms old but ok clean. remember your next to the beach, so your gonna have sand in your room!. 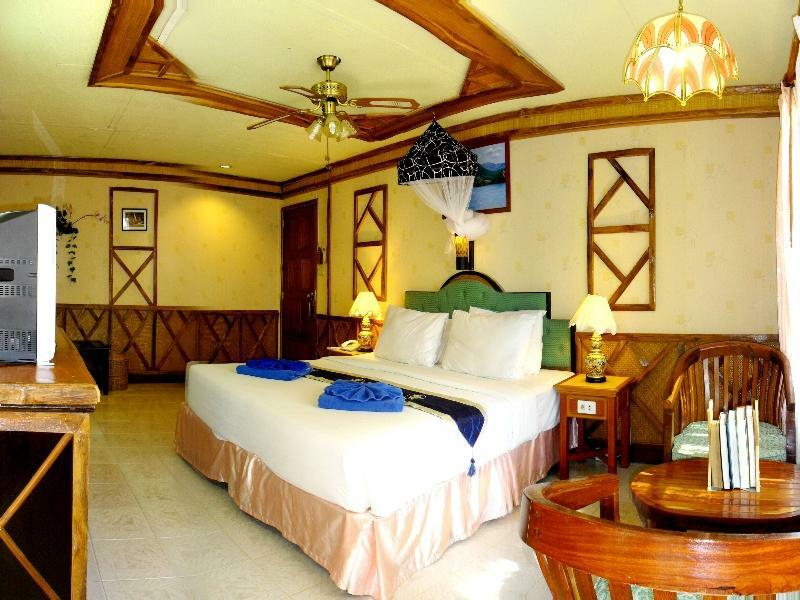 This hotel are 2 area comprise inside beach area (High price) and inside hill area (low price). I'm take inside hill area that 4 or 5 floor building. I found some dust in bath room and terrace. i will feeling down if not under promotion price. Checked in late evening (dark). Hotel and rooms are filthy, smell of raw sewage from the bathroom made my two young children physically sick. Complained to the reception staff about the smell of sewage in the room, staff said they would send someone to the room and sort it but no one came. Booked this place for two nights, we checked-out early the morning after our first nights stay. This hotel is filthy dirty and very run down. Be warned do not stay here. Swimming pool was not very clean and overgrown with plants and both swimming pools are on the small side. Pro's: good location on the beach side. Some of the premium rooms are right on the beach. The ocean view rooms in the multistory building probably have some great views as well. The nightly BBQ on the beach is very good and priced are surprising low. Con's. Rooms are 15 years outdated, typical for this island, build it, forget it. The breakfast buffet is for asians. Westerns have scant choices. Fried egg, fruit, coffee and juice. no bacon, no hash browns, no pastry as compared to many tables loaded with asian food. DJ, music played at the restaurant and beach is mind boggling horrific. In the span of an hour on January 21, 2018 in the evening. Frank Sinatra "White Christmas", Micheal Jackson Thriller, Some rap crap, Thai pop music. You could not have come up with a worse blend , just annoy everyone overwhelming bad music cranked up with too much bass. am, takes a break and comes back from 6pm until 10pm every day and you hear it at all the best rooms. The only good point for Koh Chang Resort and Spa is it is next to the beach. I have stayed here 2 nights on 30, 31 December and was forced to pay for New Year's Eve gala dinner which cost 1,500thb per person. This Gala Dinner showed me worst party ever. With the best will in the world、you can't say the food's good. Boring shows with poor preparation and coordination. Breakfast which has no variety at all. The hotel has a great location, beautiful beaches, clear water, but what I do not want a friend to stay here cause is. Foreign guests who come to stay. Some people was very good (just a few). Mostly bad habits rude people. No presumptuous people around who stay together. Sit on the beach all day smoking. People who want some fresh air from the sea will never get it. Although sleep time, people who smoke also have a smoking in front of their room, making the smoke floated into the room. This cause our family especially our children were coughing heavily throughout the stay. If possible, hotel should plant more big tree for shade larger than this. Tks.